Your menu will need to be tall enough to accommodate two line menu items. To change the height of the menu, go to Mega Menu > Menu Themes and adjust the ‘Menu Height’ option. 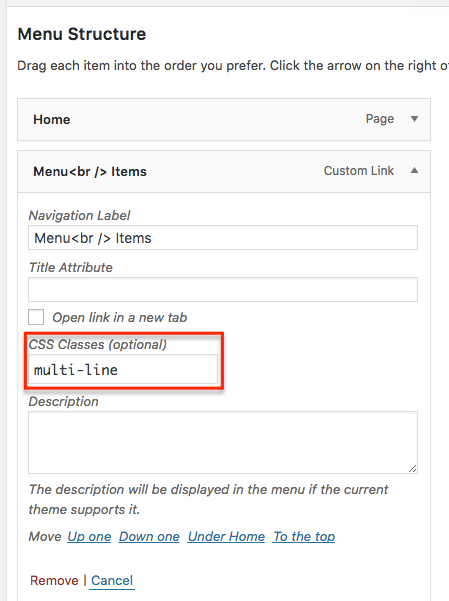 To make menu items display over two lines you will need to add <br /> tags to the menu item title. To do this go to Appearance > Menus, expand the menu item in question and edit the Navigation Label. You will also need to add a ‘multi-line’ CSS class to the item to make sure the text displays within the bounds of the menu. If you do not see the ‘CSS Classes’ option, click ‘Screen Options’ at the top right of the page and enable CSS Classes.